Eagle-eyed viewers lucky enough to have seen Black Panther already—we’re still waiting for a preview screening here in Chicago—may have noticed a shout-out to Atlanta multi-hyphenates Donald and Stephen Glover in the end credits of Ryan Coogler’s soon-to-be-blockbuster film. Collider’s Steve Weintraub was one of them, and he took a moment to ask Coogler about the Glovers’ connection to the film in a video interview with the director. Are they friends in real life? Is Coogler a big Atlanta fan? 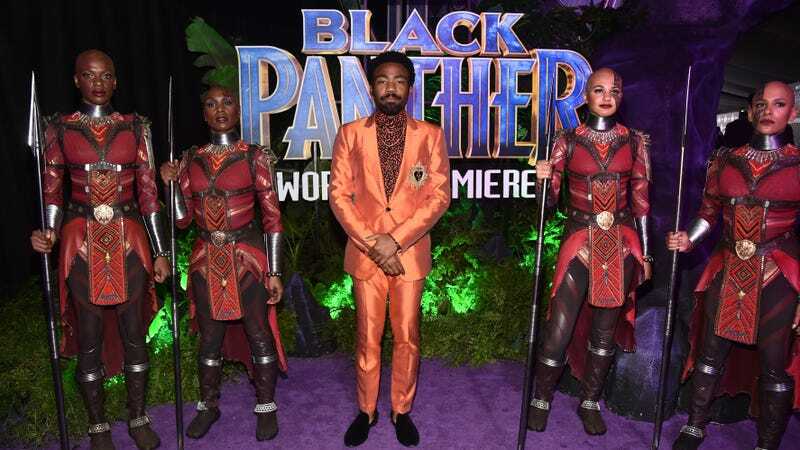 We can’t rule either of those out, but the reason Stephen and Donald Glover were thanked in the credits is that they gave Coogler notes on the script.